Intertops Poker and Juicy Stakes Poker are sending another player to the Caribbean to compete in a big, live tournament next month! 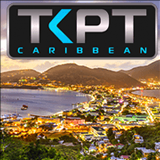 A series of online satellite tournaments for the $75,000 TKPT Caribbean poker tournament in St Maarten has just begun and continues until February 5th. Win your way to the Final in the three-tier tournament series by winning daily Step 1 and Step 2 tournaments, or buy in at any stage. Win the Final and you'll get a $3500 prize package that includes the $1150 buy-in for the three-day Main Event and luxury accommodation at the all-inclusive Sonesta Maho Beach Resort right across from the casino as well as travel expenses. Intertops Poker and Juicy Stakes Poker are hosting daily online satellites for poker tournament in St Maarten. To register for TKPT online satellite tournaments, click on the Tournaments tab in either poker room. Prize: 1 ticket for the $100,000 TKPT Final guaranteed! For a taste of what TKPT Caribbean is like, watch videos of a group of Intertops and Juicy Stakes online players that won their way to TKPT Caribbean last year on the Living the Dream poker blog.